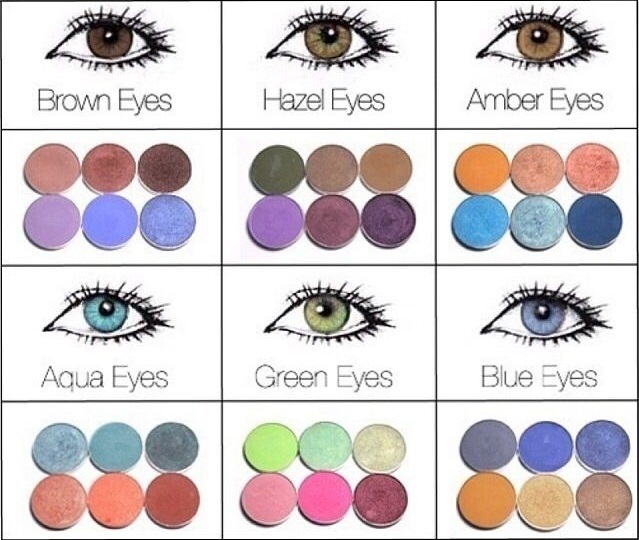 So, that leads me to the color wheel, this is the easiest way to explain how to choose the right eye shadow color for your color eyes. 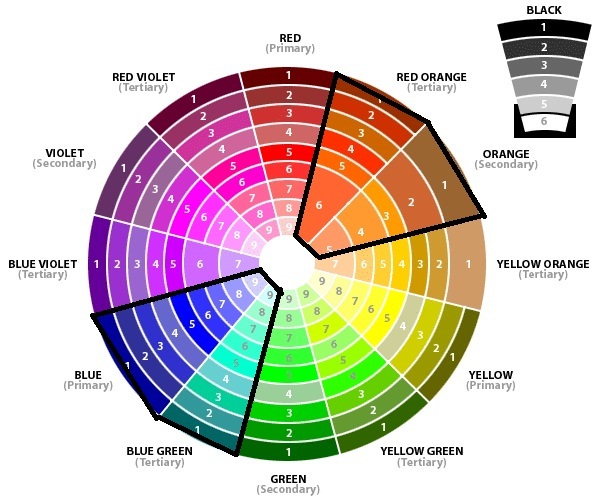 Here’s “the wheel.” Here you can easily see the complimentary colors for green eyes, which is directly across on the color wheel are any shades of red & red violet. Jessica has a little yellow in her green eyes too, so the complimentary to yellows are shades of violet. 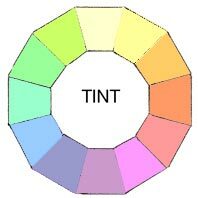 But, these aren’t the only colors, that will work well with green eyes. 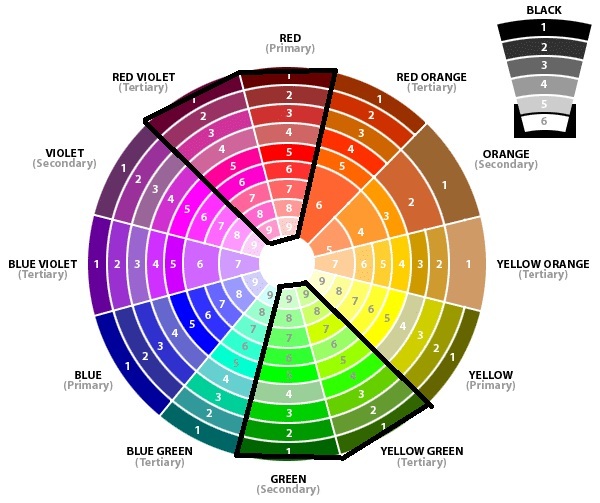 Analogous colors are on either side of your hue on the color wheel. So, green eyes, would also look great, with blue-green or yellow green shadows or pretty much any hue of green. I know, you’re prob thinking if I use the basic colors here, I will look like a clown. But, the 12 basic “hues” can be lightened, darkened, & even toned down to create beautiful palettes suitable for all different eye colors. 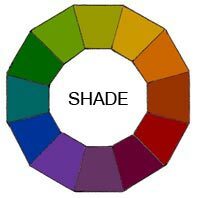 That why I really like the color wheel above, because it shows ALL the different, hues, shades, & tones. Lightening one of the basic colors on the wheel, is called tinting. Otherwise known as pastel colors, by simply adding white to any color. Simple as that!!! Darkening the basic colors, is called shading. This is simply adding black to any of the colors. Lastly, all the colors can be toned down too! Toning is done by simply adding grey to any of the colors. 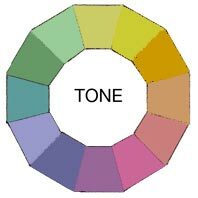 In other words, add a little, white & a little black to the 12 basic colors and you have a tone. Brown is a neutral, so lucky you, you can wear pretty much any color very easily. Greens, blues, turquoise, & copper will no doubt make those brown eyes POP! But, you can also play up those earthy shades found in your brown eyes~ Metallic taupe, champagne, & even olive green. You just have to take your skin tone into account. Silvers look great on cool (pink) undertones & gold looks great on warm (yellow) undertones or olive skin. 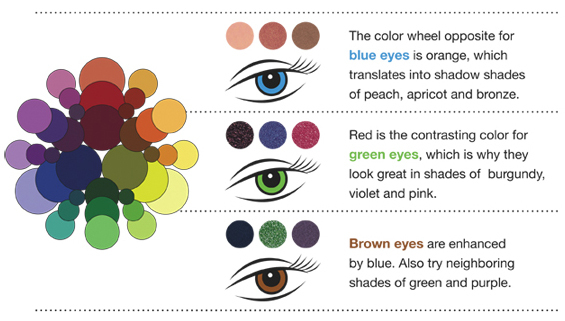 Here’s an simple guide for ALL eye colors. Hope this helps you next time you go to the makeup store. I will be posting detailed “GET THE LOOK” posts for all eye colors soon! Previous PostGet the Look~ Soft Purple eye shadow look, makes green eyes POP!